Online video for children is already on your screens! 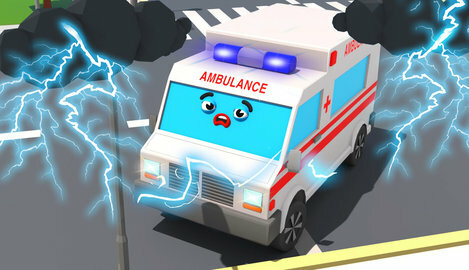 In this new episode of 3D Car Cartoons, lightning struck the White Ambulance, which led to unexpected consequences. The Monster Truck’s vacuum cleaner has revived, a Tow Truck's candy machine has become crazy, and it's only beginning of the adventure in a funny car cartoon for kids!